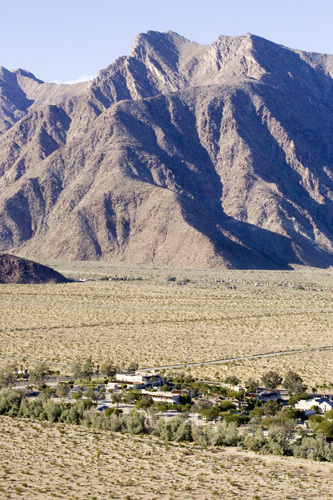 Since September 1st 2005, Mike SHETLER is the new owner of the Palm Canyon Resort. Improvement are on their way: WiFi hotspots for the RVs, free High-Speed internet in the Hotel rooms, a new Chef, new Housekeeping staff for the Hotel, and more. 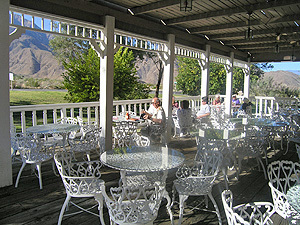 The Hog Through Café & Saloon has become a favorite with bikers on Sundays. A perfect blue pool on a perfect blue day is what attracted us to Palm Canyon Resort for our 2005 Christmas stop over. The resort offers an ideal combination of quiet times and nature's challenges: 138 spaces for motorhomes, trailers or tents, and an adjacent 60-room hotel. 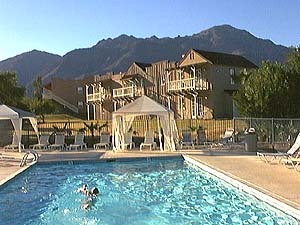 Trails, pools, golf, fitness center.... are at your disposal. 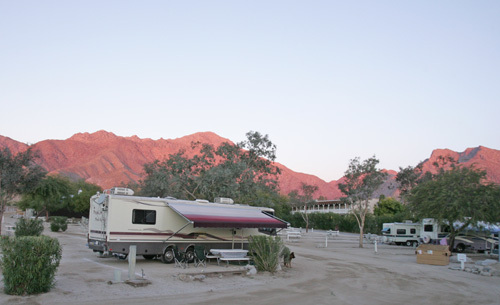 During the hot season, ask for RV spaces below the row of tamarisk trees and when the days are cool, stay in the warmer spots at the center of the camp. There is a restaurant, the Big Horn Steak House, and Saloon, the Hog Through Café, on the property. 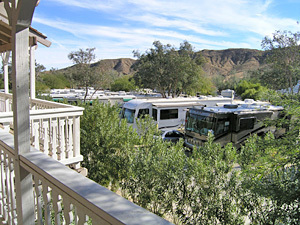 The combination RV campground and hotel allows you to come and be with friends, while retaining everyone's privacy. with 50-amps hookups, like these, for year-round leases and at six RV sites. on Sunday from 07:00 AM to 02:00 PM. 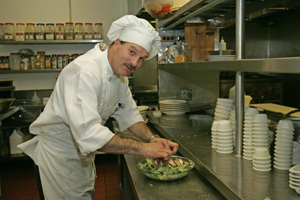 Newly arrived Chef Ken is in charge of the Big Horn Restaurant. For 2005/06, Hotel room prices range from $95.00 to $195.00 in the high season (Nov.1 to May 31). 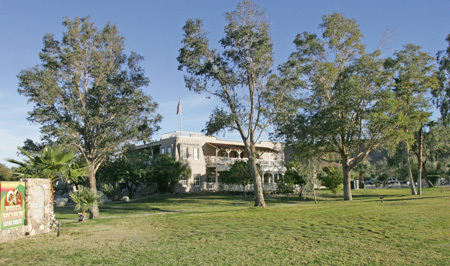 Campsites run $30.00 for overnight, 7 to 30 days is $21.00/day . Complimentary High speed Internet is available in the Hotel Rooms. 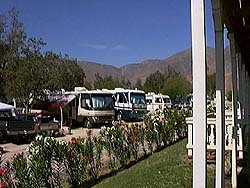 A $5.00 per day fee is charged for High speed Internet connection on the RV spaces. 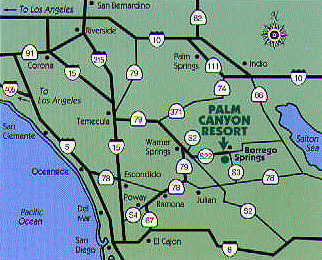 Only 85 miles from San Diego and 150 miles from Los Angeles, the Resort is crowded from January to March. At other times it is an ideal spot for some serious R & R!